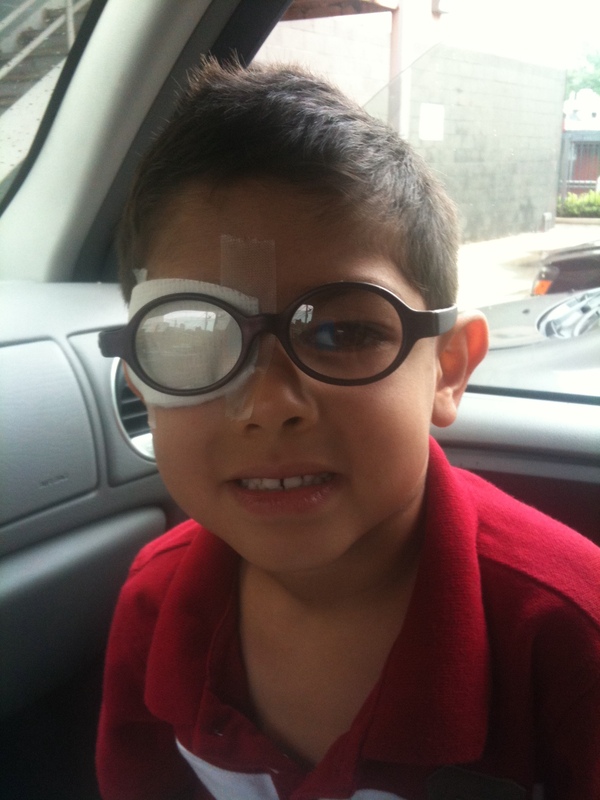 Well, he has to have his eye patched for four hours a day until his next appointment which will be August 1. It seems that his amblyopia (aka lazy eye) is very minimal at this time. I was watching the doctor trying to get his eye to “jump” but it was very sporadic. It was interesting how she was doing it too. Well keeping my fingers crossed that this will work and his eyes will align the way they should.